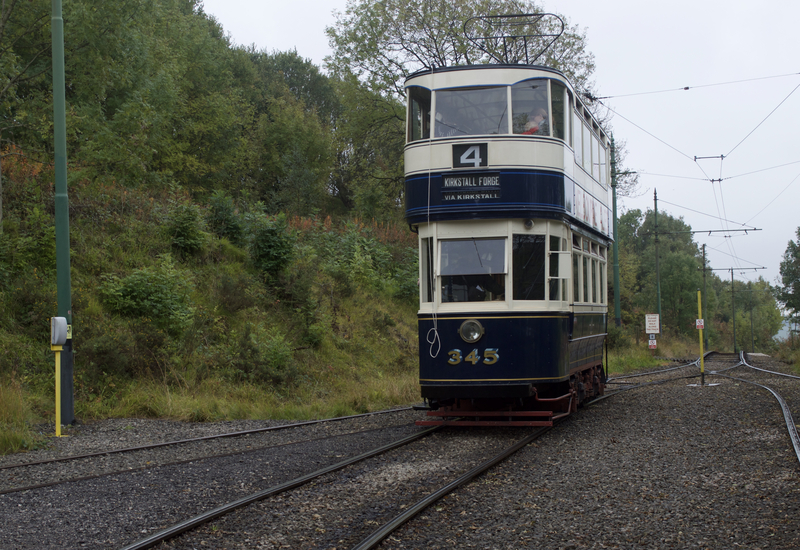 Former Leeds City Transport tram no.345 seen during a visit to the Crich Tramway Village on 21 September 2017. Photographed at the northern end of the line known as Glory Village. The tram entered service in 1921 and withdrawn from regular passenger service in 1948.